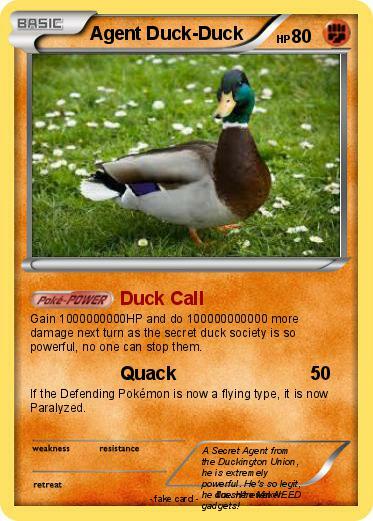 Gain 1000000000HP and do 100000000000 more damage next turn as the secret duck society is so powerful, no one can stop them. If the Defending Pokémon is now a flying type, it is now Paralyzed. Comments : A Secret Agent from the Duckington Union, he is extremely powerful. He's so legit, he doesn't even NEED gadgets!